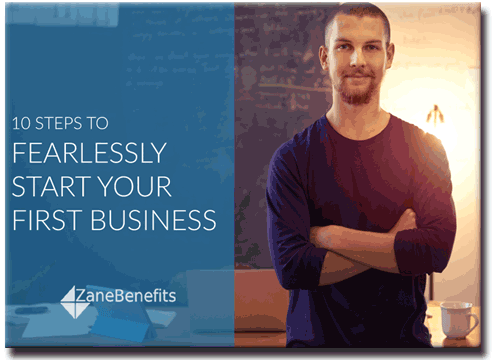 Zane Benefits, the leader in individual health insurance reimbursement for small businesses, announced today the publication of a new eBook, "10 Steps to Fearlessly Start Your First Business." The guide provides 10 steps to help entrepreneurs start their first business. According to Zane Benefits, starting a business isn't for everyone. However, when done correctly, it is some of the most rewarding work. For entrepreneurs with a passion to start a business, knowing which steps to take is important to understand. The new step-by-step guide provides entrepreneurs with 10 valuable steps to help them successfully carry out their dream of starting a business.